I love the skinny wand and the fact that it does not clump coming out of the tube. The mascara does not clump my eyelashes together which I have often happen with other products. The product makes my eyelashes look so much longer than any other product I have used. easy to get to base of lash and don't need eyeliner for everyday. Plus mascara stays put. 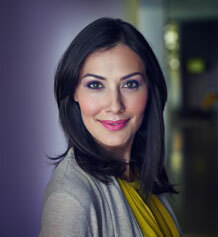 I purchased my first tube of Dr. Hauschka mascara 10 years ago at a retailer. I am blessed with fabulous, thick, long eyelashes. I've pampered them my whole life, even to go as far as spending exorbitant amounts of money for so-called "high-end" mascara - and then I found YOU, Dr Hauschka. I've gifted tubes of this mascara to so many people- and everyone says the same thing "Where has this been all my life?" Once again, much love to Dr Hauschka and team! The brush is perfect - length of the wand is perfect. No need to pump in and out to get product on the brush - I mean WHY should we even have to do that?! Anyway, the exact amount that needs to be applied comes out on the brush the first time (without any buildup on the wand - EVER). Sometimes, on application, it looks like it will dry clumpy and then after a few seconds, it settles on the lashes, like the product is morphed into your eyelash. Again, what can you say about such perfection. Thank you Dr. Hauschka and team - so much love! It was a great relief to see that I was right to trust the reviews for this product. I’m a convert. I can apply this mascara easily. It is creamy and just the right consistency. NO clumps ever. I don’t have to wipe off the wand before I apply the mascara because the perfect amount is on the wand when I remove from the canister. My lashes look great. So glad I found you, Dr. Hauschka mascara! I hate clumpy heavy mascara - I wear it everyday and believe make-up should enhance one's looks not overpower them. This mascara works great, defines my lashes, is smooth and clean. The best thing about this mascara is that it stays on on my eyelashes all day and does not migrate to anywhere else on my face. No raccoon eyes! Love the look; goes on smoothly. The only reason I didn’t give it a 5 is that it can smear (though that makes it easy to remove). I love the Dr. Hauschka defining mascara. The applicator brush is very nice - carries just the right amount without clumping. I can take a nap during the day and look just as nice as before. It does not smear, or flake, but washes off easily. Love it. I have been using this mascara for many years and love the product formula. It is one of the very few that does not irritate my eyes. I also like that it does not clump or flake off easily but that I can remove it with soap and water, without having to use another product that could potentially be irritating. However, they changed the packaging last year and I despise the new wand design. I have poked myself in the eye more often than not because they shortened the bristles! If I could just find another product I liked as much, I would break up with this one over the packaging issue, but no luck so far. The product ingredients are great, but because the wand picks up way too much product, excess mascara must be cleaned off before applying (otherwise it just makes a clumpy mess in which many eyelashes stick together). I would not recommend it or purchase it again. I have tried every natural mascara, and this one is the only one that works for my difficult lashes. It does not flake or smudge and is the only mascara that can hold my long, heavy lashes all day. The only mascara I will ever use. I tried this mascara, but my eyes got puffy. I miss the old mascara- it was the only one I could use without having a reaction! Bring back the old formula!!!! Sorry to hear you are not 100% satisfied with your purchase. We’d like to contact you to get more details about your experience and provide assistance to find the right product for you. I didn’t like the applicator brush. Was happy with the old one you had before. This mascara goes on smooth with no clumps. It is creamy and has a great brush. I do recommend this product, I feel good about wearing it because of the natural ingredients. I have noticed that it smudges at the end of the work day and definitely at night if I’ve been wearing it a whole day, so I usually remove it at that point and reapply if needed. I have used this mascara for years. It deepens the color of my lashes and makes them appear fuller in a very natural way. I teach yoga and this mascara never bleeds or ends up under my eyes after hours of teaching and demonstrating. This was the only mascara that i could use which my eyes didn't react to and with this new version i am now having a reaction ; puffiness and wrinkles under my eyes, making me look old! What a shame. Seems as though there is a difference in the ingredients. I have called and no-one seems to have the older version available. Perfect for everyday. Soft, natural look - doesn’t look like you are wearing any mascara. I used the Brown but prefer the Black because it is a soft black -not jet black. Only thing I didn’t like is that it smudges a bit. My Whole Foods stopped carrying Hauschka makeup, so for years I've been without. In the meantime I also started wearing contacts and two natural brands of mascara I tried had enormous clumps that would actually get trapped in my eyes causing irritation. So, I decided to go back to Hauschka mascara, even if it meant ordering online. Luckily it has not changed --smooth and natural looking without all those fake Barbie clumps. I've also always liked the rose smell of this mascara, and the way it cleans off easily. So, if you are the type that prefers a more natural look, this is great. If you want Barbie lashes, you will probably need a couple coats of this mascara to build. I’m glad you asked. This is the best mascara I’ve ever used. No hyperbole, it goes on smoothly and enhances my eyelashes better than others I’ve used over the last 55 years (started at 15). It doesn’t smear and is easy to remove. I’m too fair to wear black mascara and am so glad Dr. Hauschka has brown. Love it. Defines lashes and stays put. The Defining Mascara doesn't thicken up and it goes on nicely. I would recommend it. I really like this mascara. I would mention that it will not provide you with thicker, longer lashes, but it does it's job in highlighting (or darkening) your natural lashes and works very well. 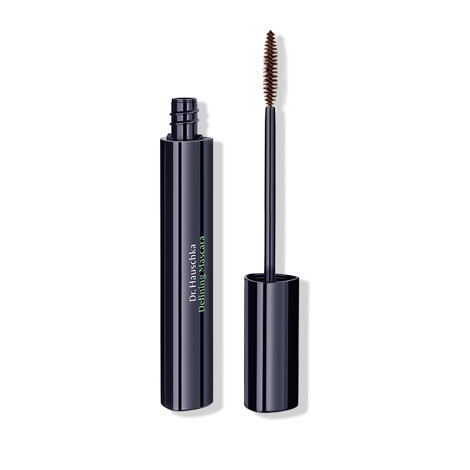 I really like using it along with the brow and lash gel, and have found the gel really improves the application and overall effect of the mascara. I have had no irritation in my eyes when using, and it washes off easily at the end of the day. I like the smaller brush and the ease that it goes on my eyelashes. Perfect brown for my eyes, very natural application as well. Please bring back the old wand, Dr H! I am a big hater of the new wand. Please bring back the old wand. Have used this product for 20+ years. I won’t buy the new version ever again. It is terrible. I won't reorder this...the brush end is so narrow with no bristles- it just smears black on my eyelid and clumps on my lashes. The old version was so much better....love the mascara but this applicator is terrible. Smears a little under the eyes however it is the best natural mascara I have found so far. After using this mascara for about 3-4 months my lashes have grown longer and stronger. I keep getting asked if they are my real lashes and I proudly say yes! It is also easy to remove which protects the eye area from being damaged from over scrubbing when trying to remove the product. I just love the way it glides on my lashes as well- like silk! Applies and wears well. Good quality. The formula is still great, but the wand seems to make the mascara application clumpy.